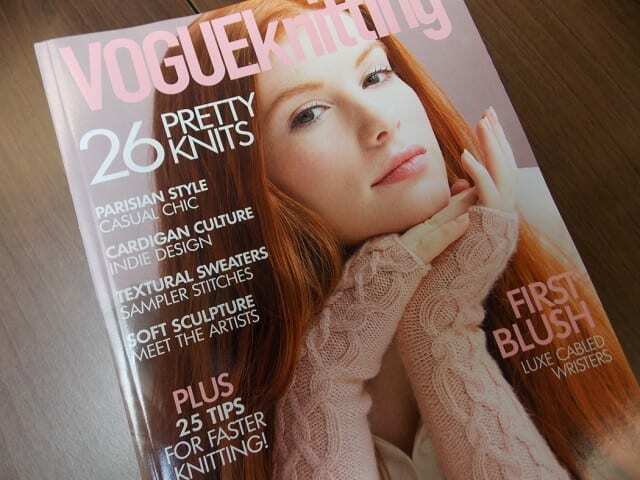 The Early Fall 2015 issue of Vogue Knitting has arrived here at the shop, right in the middle of a heat wave that makes “Early Fall” seem particularly far away. 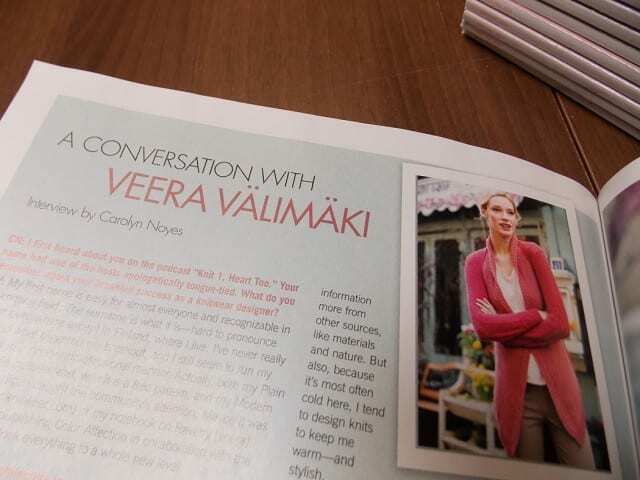 This issue has plenty of patterns to fuel your cold-weather knitting fantasies: cabled cowls and mitts, classic colorwork, textured sweaters, and a collection of cardigans from independent knitwear designers, the likes of Veera Välimäki and Amy Christoffers. 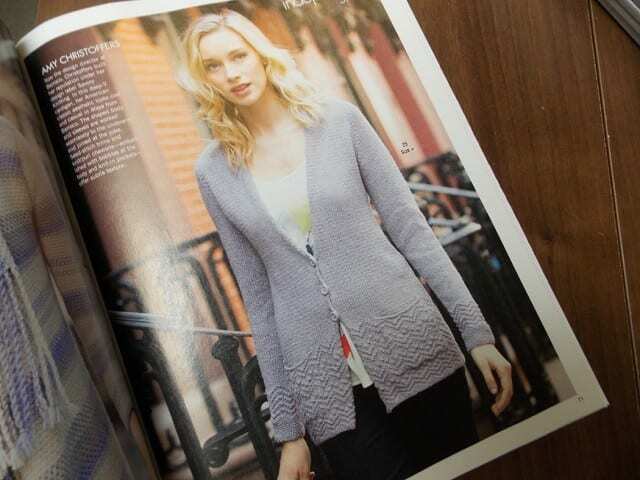 Amy Christoffers’ design is a cardigan knit in Berroco Maya, a cotton and alpaca blend chainette yarn, lightweight enough to pull on in chilly air-conditioning during the warmer months. There’s some good reading material in this issue, too. Meg Swansen’s column shows how to do a continuous border on a cardigan, and another article offers tips for faster knitting. 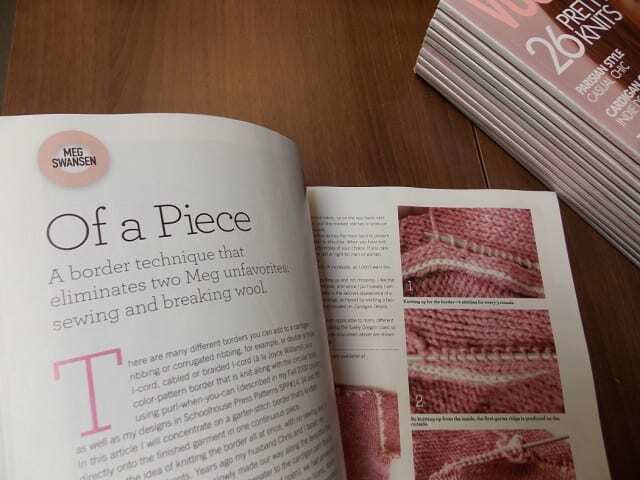 Come by the shop to pick up a copy of Vogue Knitting, and enjoy our air-conditioning while you plan your next project!